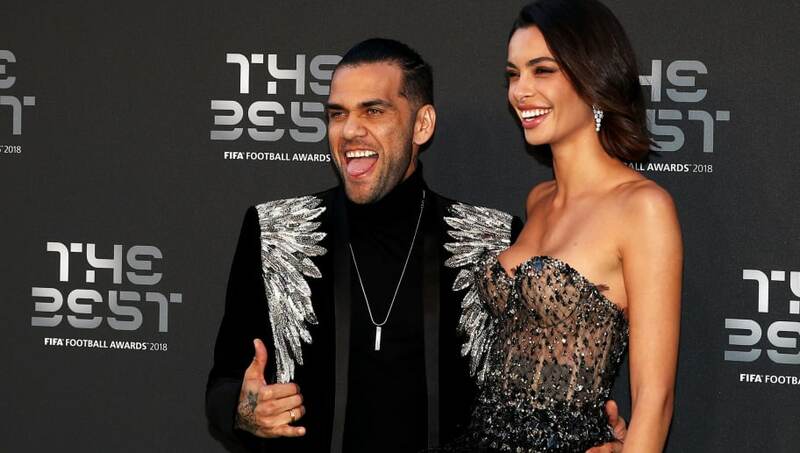 Paris Saint-Germain and Brazil full-back Dani Alves has branded Lionel Messi's exclusion from The Best FIFA Men's Player Award nomination unjust. Real Madrid's Luka Modric walked away with the prestigious accolade on Monday night, with FIFA's ceremony taking place at the Royal Festival Hall in London. But Messi wasn't even among the top three nominees as Mohamed Salah and Cristiano Ronaldo filled up the other two spots. Messi was named as part of the FIFA FIFPro World XI, along with Alves. Yet the Brazilian did not seem happy about his former teammate getting overlooked for the main award. ​"It's unjust that Messi was not nominated for The Best," he said to ESPN after the ceremony (H/T Sport). "It's not just that they have only looked at what he has done with Argentina and not what he has done with Barcelona." The Barcelona forward has been creating magic in Spain for several years now but hasn't been able to replicate his performances on the international stage with Argentina, who had a very disappointing World Cup this year. Alves clearly felt that the player's displays for Barca over the last year should have left him among the top nominees. But no one can say Modric wasn't deserving of his award, especially not Messi, who actually voted for the Croatian as No.1 in his picks. The Argentinian also voted for long-time rival Cristiano Ronaldo for No.3 - he went with Kylian Mbappe at No.2 - but the new Juventus star did not return the favour, going with Raphael Varane, Modric and Antoine Griezmann in that order. Messi scored 34 goals and assisted 12 more in 36 La Liga appearances for La Blaugrana last season and has scored five times in five outings along with two assists this term.